← We’ve been Zucked again! As the list of women coming forward with #MeToo claims against ‘creepy’ Joe Biden grows (we’re up to four now, including a survivor of sexual assault), the New York Times reports that the 76-year-old politician’s “tactile style” may put a damper on his 2020 ambitions in the #MeToo era. Lucy Flores, 39, who accused Biden of grabbing her shoulders during a 2014 political event, pulling her towards him, ‘inhaling’ her hair, and planting a “big slow kiss” on the back of her head. D.J. Hill, a 59-year-old writer who recalled a 2012 encounter at a Minneapolis fundraiser where Biden “put his hand on her shoulder and then started dropping it down her back, which made her “very uncomfortable.”” according to The Times. While Biden’s decades of creepy behavior has been well documented – and ridiculed over the years by late night comics and Saturday Night Live – everything changed after the October 2017 revelation that Hollywood mogul Harvey Weinstein had allegedly molested dozens of women. The scandal sparked the #MeToo movement of women coming forward with stories of sexual assault – while feminists across the country made clear that unwanted male advances and condescending ‘mansplaining’ would no longer be tolerated. Given the new environment, Biden’s once-ridiculed conduct has become serious and ‘problematic’ (as they say), as video after video of the former Vice President molesting women and children provides a montage of the very ‘toxic masculinity’ that social justice warriors have spent the last two years condemning. And as Paul Joseph Watson of Summit News notes (PJW’s new venture), Biden’s adversaries, namely the Great America PAC, have already turned his grabby gaffes into a political advertisement. Of note, the Great America PAC has put MSM journalists on notice and are “geared up for any nonsense to come” from reporters who peddled the Russiagate narrative before Trump was cleared of collusion by special counsel Robert Mueller. Biden’s defenders – including actress Alyssa Milano, who went from “Believe all women” to “Cut Joe some slack” – have mounted a vigorous defense of the former Vice President. For starters, a Democratic source told the Daily Beast that Biden’s camp thinks Bernie Sanders is behind the new campaign – a charge the Sanders campaign has denied. “Neither the Bernie Sanders campaign nor anyone involved in it, planted, planned, persuaded, cajoled or otherwise urged Lucy Flores or anyone else to tell their story. Full stop, period, end of sentence. I don’t want to hear it. We didn’t play a role,” said Sanders campaign manager Faiz Shakir. 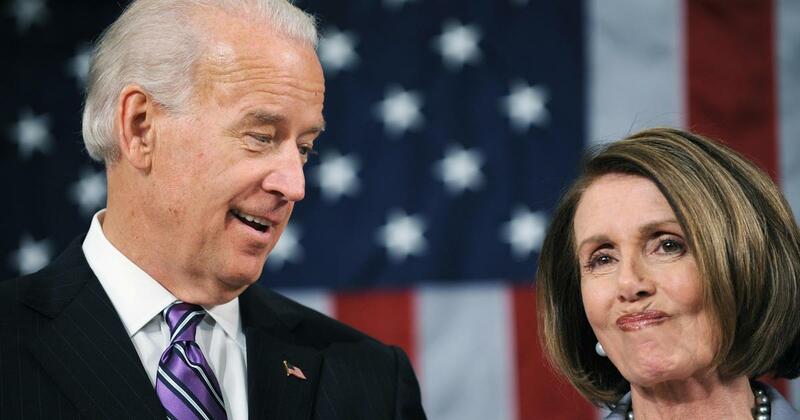 House Speaker Nancy Pelosi (D-CA), meanwhile, said this week that accusations of inappropriate molestation levied against former Vice President Joe Biden do “not at all” disqualify him from seeking the presidency in 2020. Pelosi on Tuesday told Politico Playbook that Biden’s intention should be the determining factor. JAKE SHERMAN: You’ve known Joe Biden for thirty-something years, right? What is your reaction to these allegations? 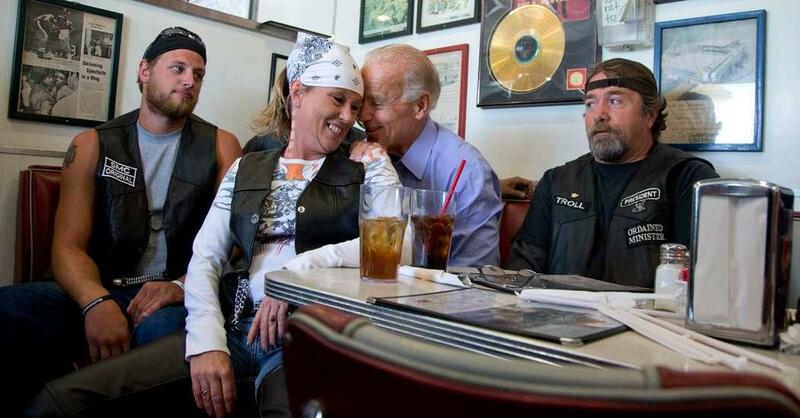 Now there’s two people who have said he made them feel uncomfortable. Is it disqualifying and what is your reaction to that?